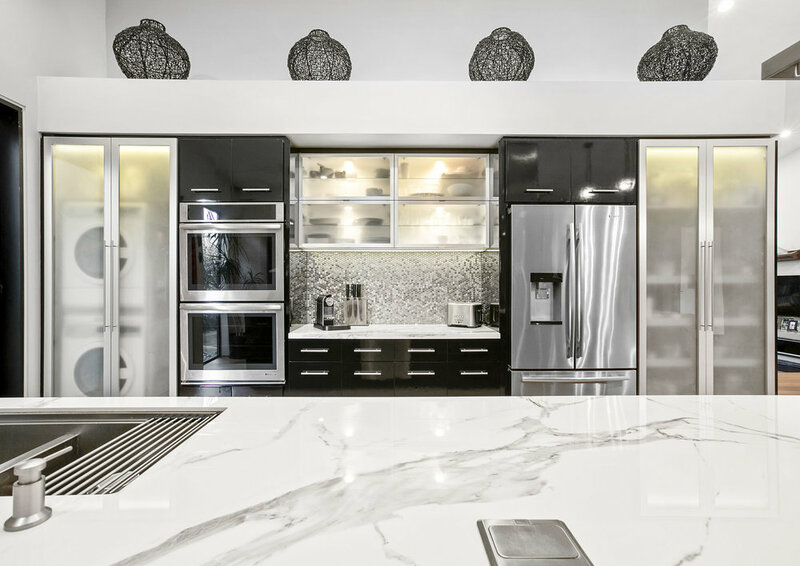 We are excited to reveal this modern and spacious kitchen in Sherman Oaks. The transformation included new hardwood floors, brand new custom cabinets and a functional and beautiful double-sided island, custom porcelain countertops and a backsplash of stainless steel penny round tiles. The details such as the glass globe pendant lights, stainless steel appliances and modern fixtures made the space even more unique. All tiles, countertops and wood floors are from Spazio LA Tile Gallery.